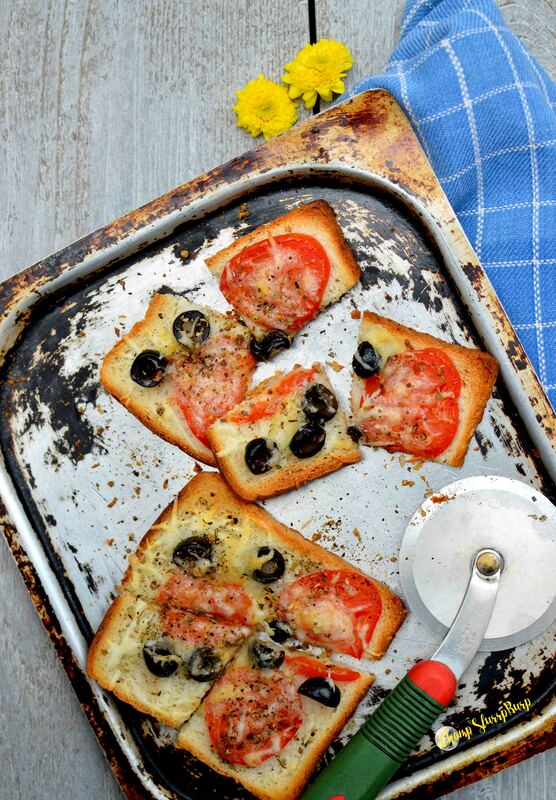 Quick Chomping - Tomato and Olive toast - CHOMP! SLURRP! BURP! 5.00 PM hunger pangs call for something super quick and yet satiating. I am all for pizzas, and I am all for bread pizzas. 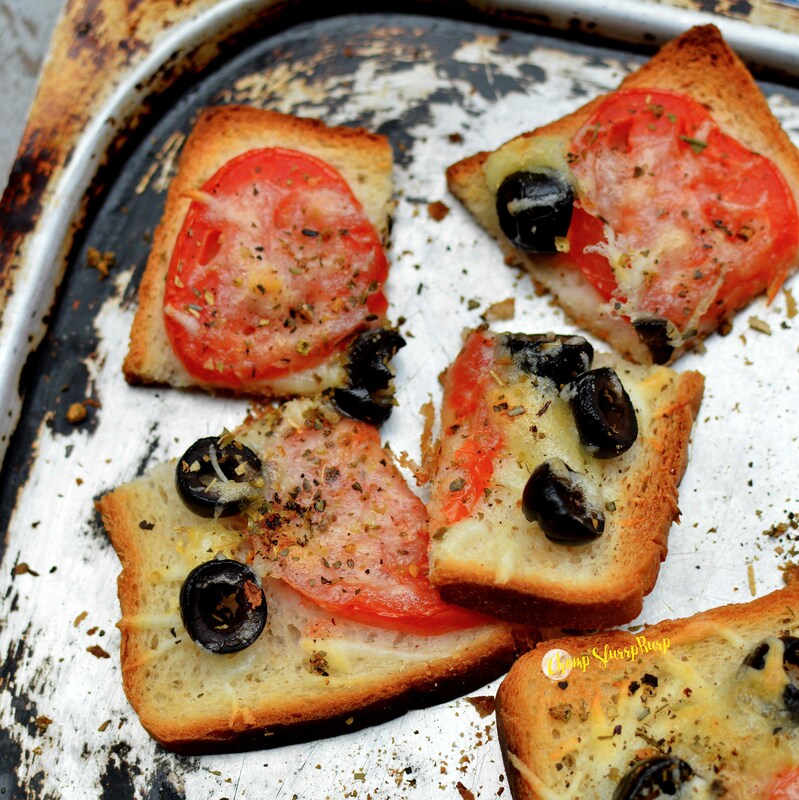 So why not a regular bread bruschetta? Chop up some juicy tomatoes and pimento stuffed olives and a generous helping of cheese and you are gratified. 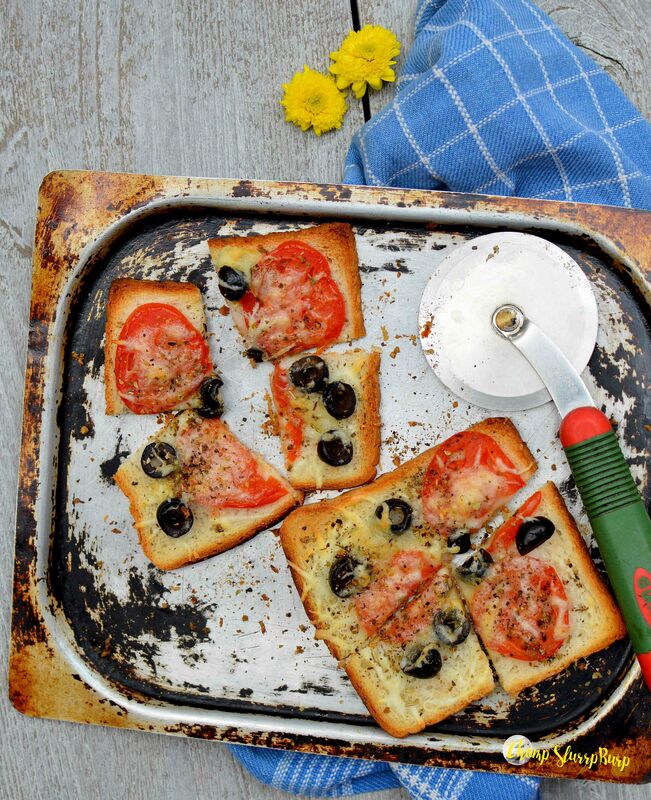 So, technically not a bruschetta, but essential Italian ingredients and regular bread gives you a great Tomato and Olive Toast. Check out a cheesy mushroom toast here. The best part, it is super easy to make! Slice the tomatoes and olives. Place on the bread pieces and top with grated cheese. You can also spread some sauce if you like but it makes the bread soggy, so I avoid it. Sprinkle with seasoning and voila!